Just your average apothecary (pharmacist), feet firmly planted behind the pharmacy counter, whose mortar and pestle are hitched to a star. Muscle relaxers, also known as "skeletal muscle relaxants," make up an important category of prescription medication useful for the relief of muscle pain and muscle spasms. Muscle relaxers are not available without a prescription in the United States. For those who must bear the challenges of chronic pain, multiple sclerosis, or spinal injury, prescription muscle relaxers are often the medications that enable a reasonable quality of life. They are often used for short-term relief of back or neck spasm or stiffness. Sometimes finding the appropriate prescription muscle relaxer can be challenging. As with many medications, what works well for one person may not work well for another. In this article, I will list and discuss briefly all of the currently available prescription muscle relaxers. I will provide you with the appropriate adult dosages, side effects, and any relevant links to more helpful information. Hopefully, this will provide you with the resources you need to discuss prescription muscle relaxers with your doctor. For convenience, I have arranged them alphabetically by their generic name, and I will list the currently available brand names underneath. Note: Although every drug has a "generic name" this does not mean or imply that it has a generic version available for purchase. NOTE: For those interested in a more detailed comparison of these muscle relaxants, please consult my article: Muscle Relaxants Compared. 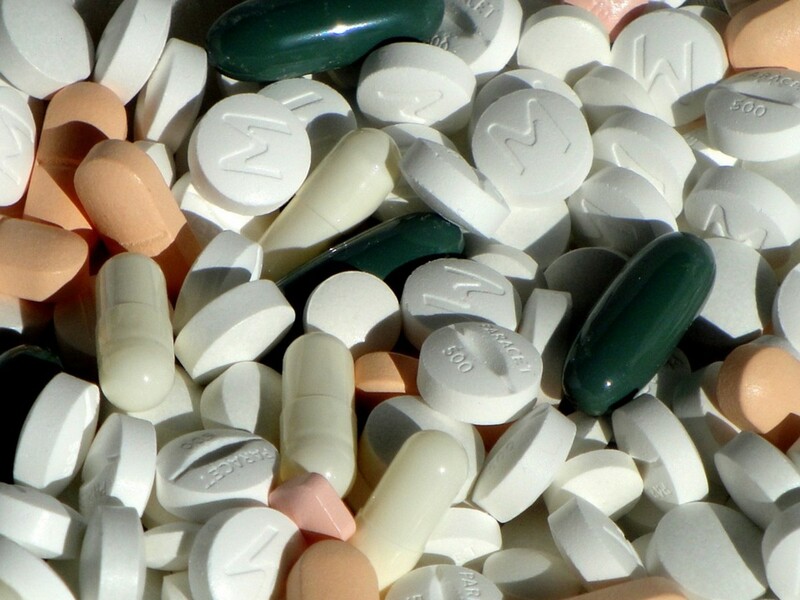 In the U.S., muscle relaxers must be prescribed by a doctor. Adult Dosage: 10mg - 20mg given three to four times daily. Side Effects: Drowsiness, confusion, dizziness and fatigue. Seizures and hallucinations have been observed with overdosage or abrupt discontinuation of therapy. Discussion: Originally approved by the FDA in 1977. 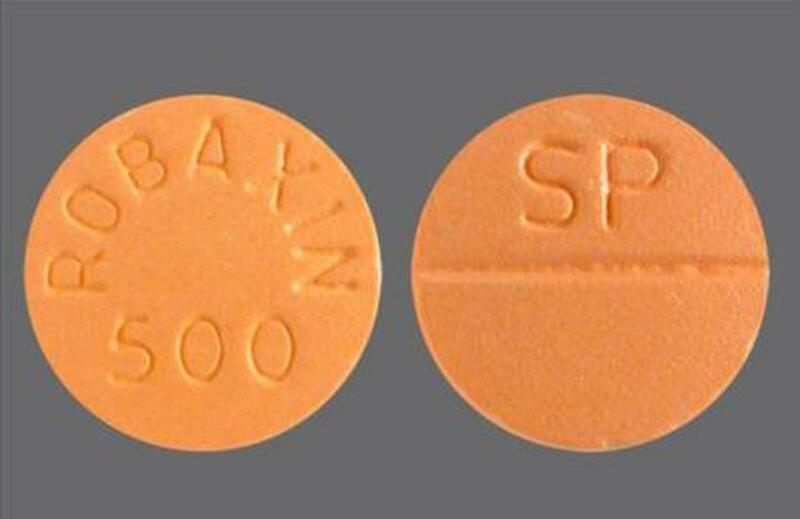 Interestingly, baclofen has also been studied for its benefits in supressing alcohol addiction. Side Effects: Drowsiness and dizziness. 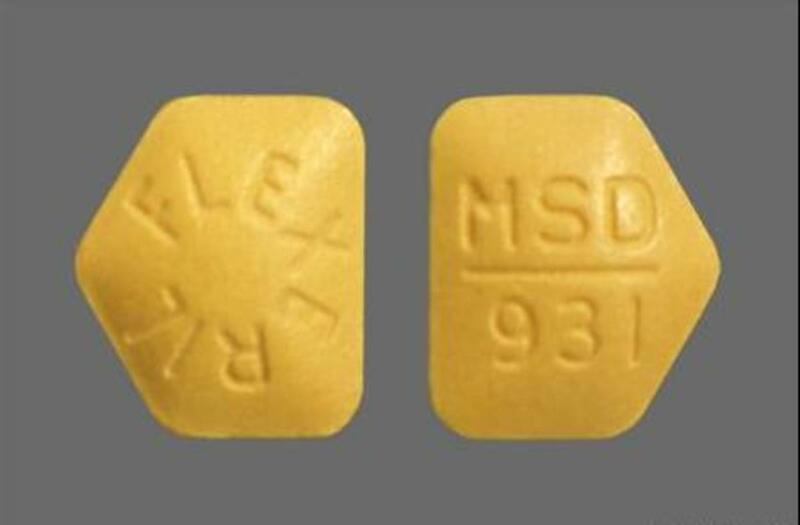 Discussion: This prescription muscle relaxer was approved by the FDA back in 1959, and carisoprodol has been used for decades to treat muscle spasm and stiffness. One of the metabolites of carisoprodol is a drug called "meprobamate" which is a controlled substance indicated for anxiety (though it's rarely used today). Some reports of dependence and withdrawal have been noted, and may be due to this metabolite. 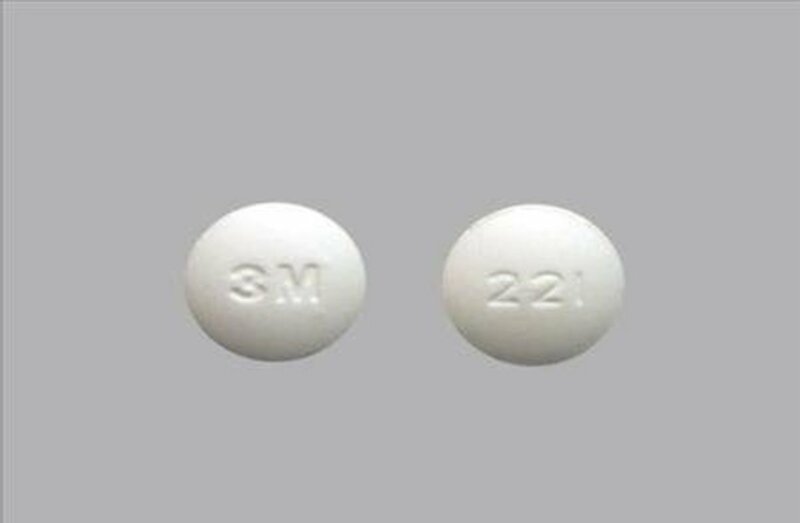 The combination with aspirin and/or codeine is used to treat pain as well as spasm. Do not use if allergic to aspirin or codeine. Adult Dosage: 250mg - 750mg three to four times daily. Use with extreme caution in the elderly. Side Effects: Drowsiness and dizziness. Stop immediately if a skin rash develops. Do not use if there is a history of liver or kidney disease. Do not use with alcohol. Discussion: Approved by the FDA in 1987. Mechanism of action is not fully understood, but may be due, at least in part, to the sedative properties it possesses. Adult Dosage: 5-10mg three times daily. Amrix is an extended release formulation dosed once daily—it comes in 15mg & 30mg capsules. Side Effects: Drowsiness, dizziness and dry mouth. It should generally not be taken with tricyclic antidepressants (eg Elavil), SSRI's, MAO inhibitors (e.g. 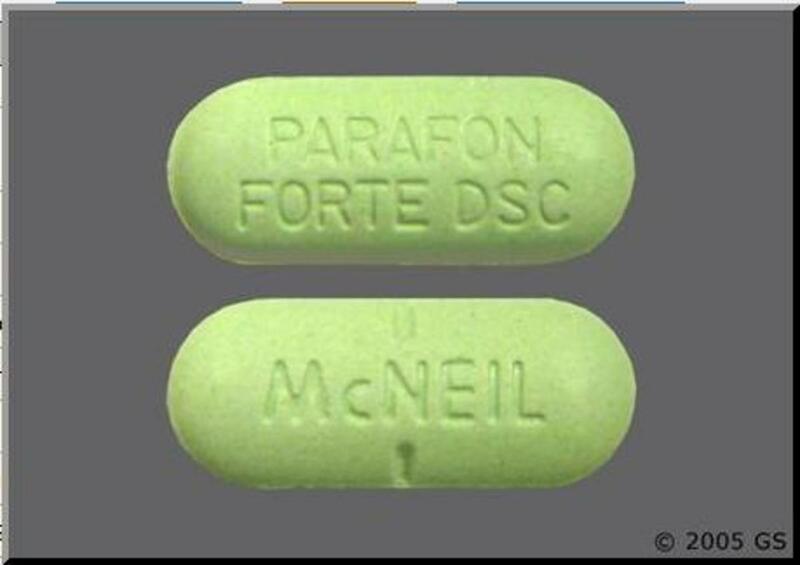 Parnate), or other drugs that affect the heart rhythm nor mixed with alcohol. WARNING: A serious and sometimes fatal side-effect known as "Serotonin Syndrome" can occur when cyclobenzaprine is combined with other medications known to increase serotonin. Make sure your prescriber and pharmacist know all the medications, including OTC drugs, that you are taking. Discussion: First approved by the FDA in 1977. Very widely used and prescribed. Dosages above 30mg per day are not recommended. Adult Dosage: Start with 25mg once daily. Slowly titrate upwards. May increase to a maximum of 100mg four times daily. Side Effects: Drowsiness, dizziness, weakness, diarrhea, difficulty swallowing and nausea. Liver toxicity has occurred at higher dosages. Discussion: Approved by the FDA in 1974. 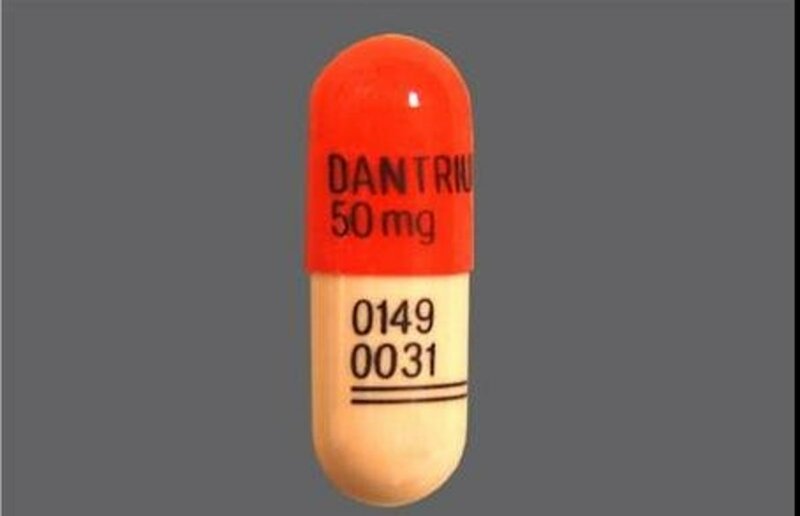 Dantrium works differently than most other muscle relaxants. It acts directly upon the muscle cells by interfering with the movement of calcium ions and thereby relaxing the muscle. Adult Dosage: For the treatment of skeletal muscle spasms. The usual adult dosage is from 2mg to 10mg and given 3 to 4 times daily. This dosage would be lower in elderly patients. Side Effects: Typical side effects with Diazepam would include drowsiness, dizziness, fatigue and muscle weakness. Less frequent, but possible, would be things like blurred vision, urinary retention, confusion, depression or slurred speech. Discussion: Diazepam belongs to a family of medications known as "benzodiazepines." They have some potential for abuse and/or dependence, and is therefore considered a "controlled substance" (schedule 4) by the DEA. By the way, do you know what was the #1 best-selling prescription drug in the U.S. from 1969 until 1982? Yes, you guessed: Diazepam. Generic Availble? Yes - A generic is now available for Skelaxin! Adult Dosage: 800mg three to four times daily. Maximum daily dose is 3200mg. Side Effects: Nausea, vomiting, drowsiness, dizziness, headache, and anxiety. Discussion: Originally approved by the FDA in 1962. Most of the effectiveness of Skelaxin is likely due to its sedative properties. Adult Dosage: 1.5 Grams (3500mg tablets) four times daily without regard to meals. May increase up to 2 grams (4 tablets) four times daily when appropriate. Side Effects: Drowsiness, dizziness, blurred vision, headache, fever and nausea. Discussion: Originally approved by the FDA in 1957. 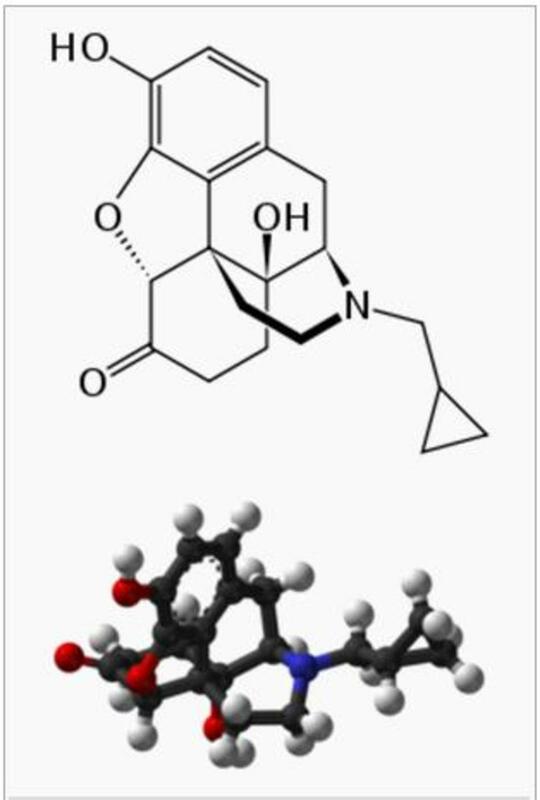 Interestingly methocarbamal is structurally similar to the over-the-counter mucus reducer known as Guaifenesin, and guaifenesin is one of its metabolites. Sorry, that doesn't mean that Mucinex can be used as a muscle relaxant. Side Effects: Dry mouth, blurry vision, constipation, drowsiness, headache and nausea. Discussion: Initial FDA approval was in 1959. It is structurally similar to the antihistamine "diphenhydramine" (AKA Benadryl)! Sorry, it won't help with your sneezing though. Generic Available? 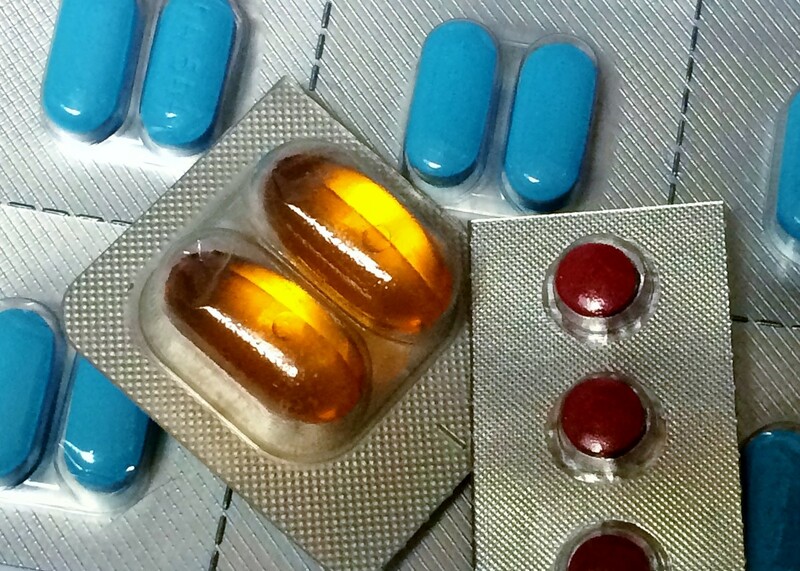 Yes, both the tablets and capsules are now available generically. Adult Dosage: 2mg to 4mg every 6 to 8 hours (maximum of 3 doses daily). Maximum daily dosage is 24mg. Side Effects: Weakness, drowsiness, dry mouth, and dizziness. Discussion: Approved by the FDA in 1996. Tizanadine has a rapid onset of action, within 1-2 hours, and the effect begins to taper off after about 6 hours. Avoid using while taking the antibiotic Cipro or the antidepressant medication fluvoxamine. 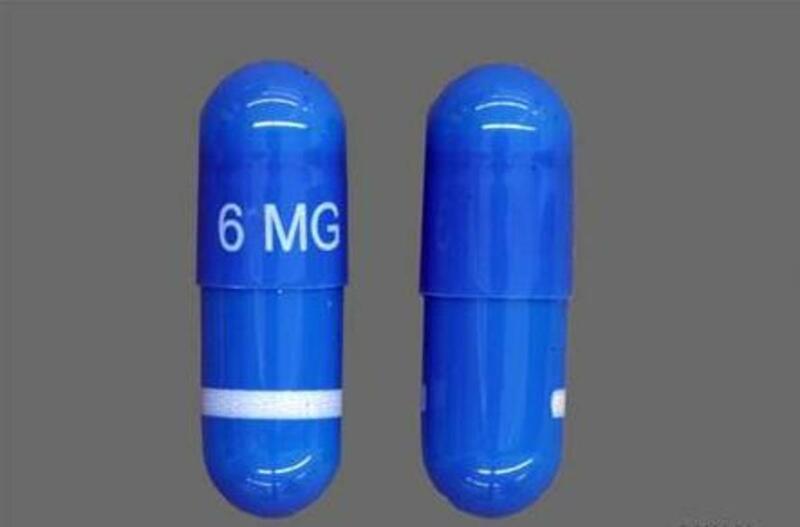 The capsules can be opened and sprinkled on soft food for easier swallowing if necessary. What Does It Mean If My Medication Is Not FDA-Approved? Can I Take Sudafed With My Blood Pressure Medicine? Ibuprofen vs. Acetaminophen: Which Medication Should You Use? Hi steven, i know you posted 17 months ago. I wonder is anything better for you? I AM IN THE SAME BOAT AS YOU. going to the doctor is agony for me.Their only concern is to reduce everything every month. i went from a functional life with a very full practice (im a psychologist) to struggling to maintain part time work. as they reduce further i will not be able to work at all, with no quality of life or any experience here on earth except suffering with severe pain. And your or my doctor not caring at all. All he says is, "theres nothing i can do. the DEA runs everything now. So because some people abuse drugs, buy them illicitly, pain people just have to suffer. That is insanity. its cruel beyond my comprehension. Oh and ironically, the illicit drug users will continue to find drugs to use but for us that need them and take them as precribed, we will be the only one they effect and truly make suffer. It breaks my heart. i braved thru pain to be able to work and live a life. but i was grateful that i could atleast do that. but now the life i built will be over. its truly insanity and just plain cruel! I had to sign up to new doctors and when I joined the practice I was on 30mg Diazepam as I have Osteoarthritis, I had been to see a pain management consultant in 2016 who had written that I should be weaned off them but he didn't know I was prescribed this as a muscle relaxant, I am now down to 18mg a day but this has caused me alot of distress as now my back pain is worse than ever, the doctor only has phone consultations with me and she doesn't listen when I tell her I need her to up my dosage, I also suffer from severe depression and anxiety aswell and have mental health issues, what can I say to get her to put my dosage back up, I'm waiting to see a pain management team in the hope of having a steroid injection which I have had before, please advise me on what I can say to her tomorrow, thank you. I was placed on Soma upon my MS diagnosis. Dr. moved and now new Dr.'s (PCP & Neuro.) refuse to prescribe it! I KNOW that this med works. Why is it such a hassle to get what you NEED that YOU know WORKS? This battle has been going on for 16 years. My PCP gave in at one point BUT soon found a NEW drug (useless to me) to take IT'S place! Methocarbamol helps BUT that was taken away ... 750mg x 2 per day & changed to Tizanidine x 1 per day. I was originally on 4 Per Day! My Next Neuro. appt, having changed from 1-to-another for 17 years, I am going to "strongly suggest" complete deletions of some meds that are just poisoning my liver & adding others that DO help ... I Know! For me SOMA is the only one that actually works. I don't know why? But I have tried all (And I mean ALL) the others, except for Baclofen in my pain pump, tried oral-No Go. My Doc wants to get the pain under control before he starts muscle relaxers, But, I think my severe pain comes a lot from my continual muscle spasms. on the pain side were already on Dilaudid 1.2 mg continously from the pain pump=0 relief and I still have 2 50mcg ent patches on, Norco/Hydrocodone 10/325 just went down to 4 a day, it was the cost to go up .2 mg on the Dilaudid, my Dr. actually held me hostage!? No dropping 2 Norco's a day, no raising the Dilaudid .2mg . He just said I'll go up-He didn't say it would only be .2 mg (He told me most of his patients get relief of 50% or more at .2 to .4 mg) May be true-I've always had a resistance to opiates, even before all this. As A kid it took 6-7 Novocaine shots per filling not 1. Wish it was the other way!!! My Dr. told me that I was already VERY high at 1 mg and that .2 mg Dilaudid into the spinal canal is like taking more than 2o 1o/325 Norco's? I have a witness that heard him. And the pump specialist guy said, he doesn't see Dilaudid helping me at all until we get to at least 4 mg. But he thinks 8-10 mg. It's Gonna take another 20 years to get to 8 mg at .2 mg's at a time--My Dr. has become a terrorist! Severe Pain is his weapon of FEAR. He says if Dilaudid does not reduce my pain--Next he will try Fentanyl, I hope so I KNOW Fentanyl works I've Used it short term after a surgery in a catheter into my spinal canal-It was the ONLY surgery I didn't wake up from screaming at te top of my lungs--IT WORKED GREAT-Neurosurgeon said it was 80% Fent.-10% Sufintinil (Even Stronger Than Fent,Used only in surgery usually-& muscle relaxers for the last 10%) I LOVED IT, got my pain down to about a 4-5--THAT IS HEAVEN FOR ME! I wanted to take it home. But, the FDA has only approved short term hospital monitored catheter, so on the day I went home-My Surgeon/Not the guy I have now, Pulled it out. By the time I got home (3 Hour Drive)) My Severe Pain Was Back. That and putting every thing else together brought about the diagnosis of Irreversible Permanent Severe Nerve Damage. Told My Dr. I used the trans-dermal patches and suckers(Breakthrough Pain) for many of my 20+ years in pain hell....ANY IDEAS?= PLEASE HELP! PLEASE, PLEASE, PLEASE, I AM GOING INSANE!!!!!! WITH THIS PAIN THAT THEY REFUSE TO GIVE ME ENOUGH MED'S TO CONTROL...TOLD THEM I'D SIGN ANY PAPER TO LEAVE THEM FAULTLESS IF THEY KILL ME, BUT NO. THEY JUST WANT ME TO SUFFER. I HAVE HAD MY 357 MAG TO MY HEAD 2 X'S,... DON'T KNOW HOW MUCH LONGER I CAN STAND IT. NO SUPPORT FROM WIFE--ITS ALL MY FAULT ORIT'S ALL IN MY HEAD, I'M SURE THAT SOME IS, AND SOME IS HER...BUT I KNOW SHES HURTING TOO AFTER 20+ YEARS, BUT I HAVE LITERALLY DONE EVERYTHING, EVERYTHING ASKED OF ME, HOW CAN IT BE MY FAULT?? ?GUESS I'M NOT TRYING HARD ENOUGH, I'M ABOUT TO GIVE UP AND JUST GET IN A CAR & HEAD TO MEXICO DISAPPEAR, I CAN BUY WHAT I NEED ON THE STREETS THERE!???????? Hopefully you're still checking and responding on this page, it's incredibly informative. I was recently prescribed Baclofen for wry neck. I have suffered from IBS and reflux for many years so my local pharmacist was a bit concerned. I have only taken 1 x 10mg tablet at night for the past three nights and I am not sure what it has achieved for increasing movement in my neck, I have, however, noticed I am suffering from excessive bloating - that is almost painful - and an almost ridiculous amount of flatulence. I was prescribed a short course of Diazepam and pain relief from my previous GP and never had any negative side effects like this. With your knowledge, is it common to suffer these particular side effects, and is Baclofen usually prescribed for wry neck or would you consider it to be a little extreme? I have taken Tizanidine many times for muscle pain in my back. I HAVE HAD total knee nine weeks ago so can I take it. I suffer from chronic lower-back pain from a sports-related injury. I was in India for 3 years and was prescribed by an orthopedic thiocolchicoside as a muscle relaxant. It works very well. Here in US, what could my Kaiser doctor prescribe for a similar drug. Recently learned that Kaiser will no longer prescribe Carisoprodol because of "dependency issues." Pfft.. it was one of the best, and mildest available that helped me. And I do not become dependent--I don't even like to take drugs; I ration prescription supplies so they will last me a long time! You would think they would instead leave it to each doctor's discretion, after analyzing each patient's history and tendencies with drugs, instead of banning it outright for all their patients! This is an excellent piece of writing. Honestly, I can easily describe it as amazing. I loved every word. Graphics were superb. This hub was helpful, informative and I found it very interesting. Voted up and all the choices because you deserve it. You have such a gift for writing. Keep writing no matter what. My mother is in a nursing home in Columbus, Ohio, she's had a stroke on her left side, she is in pain alot of the time, they were doing ROM with her but, that has stop. I want to know if putting her on a muscle relaxer would help or harm her? My sister was in a very bad car accident 2 years ago, they had to remove half of her foot. She suffers frim severe nerve damage and a lots of pain. Her doctor just prescribed her, Cymbalta 60 mg once a day, and Neurotin 800 milligrams 3 times a day. She started this new medication 3 days ago, she has been complaining of being nauseous and groggy. We would like to know will these symptoms pass. If not what other combination of medication could she take for this very nerve damage? I have chronic lower back pain for 15 yrs. I have taken soma, norco,naproxsen for 1o to 12 yrs which helps me funcation through out the day. My doctor noe says I no longer can have soma they are taking it out of there pharmacy list. i have tried at least 6 or more muscle relaxers they dont work but soma is like a miracal drug they work like within 20 min. my back straightens up and iam almost pain free then I can do my job. I cant work more then 2 or 3 hrs with out them. do you no of any med that is close to this drug. I only take 2 or 3 at the most a day in all these years. my back is worse so i just started takind 2 or 3 in the last 18 mo. but they said only 50% change of not being paralaze if I was to have surgurgy so I'm not going there. I go to chiropracter at least once a month it helps. do you have any suggestions. It really is hard to tell how well a drug will work for an individual patient. Baclofen helps a lot of people. Norflex would be my personal next try. Dantrolene last. Just my opinion. But talk to your doctor. Also, there are different dosages on things like Flexeril, so maybe the dose wasn't quite right when you tried it. Thanks for the info. I have been on muscle relaxers for years, I have bone spurs in my neck, a parting gift from working equipment maintenance at the Honda factory for 20 years. I was switched so Soma several months ago, it worked so well, it was like being released from the pain chains. After 3 months on it my pain doc announced he was discontinuing writing prescriptions for that med, as it has been deemed a 'bad med.' I had tried so many before that and never really found the right one for me, and I have tried all but the Dantrolene and Norflex. Tizanidine worked for a long time but I grew tolerant. Flexeril never worked. Parfon Forte doesn't really work either, that is what I've been on since the Soma.. My doctor called in a script for me to try norflex but my insurance doesn't want to cover it, so it's $80+. Have you heard much feedback from patients on the Dantrolene? I may ask my doctor to try that and see if my insurance will cover it, or do you think Norflex is better, that maybe I should give that a try?? Of the 2 of these which have you had the most positive or negative feedback on? I know people have different success rates with different meds, so in trying to find the right one it is a crap shoot. I am down to only a couple options to try, I guess. Hello Jason. I like your article. Thank you for the information. You are good. Great to know, thanks for the breakdown and explanations, it really helps. My dad 67 yrs suffering from tremor was given norflex cause he complained of pains from his neck to his waist, on taking the first dose he started hallucinating seriously and did not sleep for two nights now he was given sleeping tablets for five days to take only at night but he hallucinates during the day what to know if there is another drug that could flush out the orphenadrine from his system. My doctor has tried four different types of muscle relaxants but until flexeril they has all made me sick. I have taken flexeril one month with no problems, actually I couldn't tell I was taking. When I told the doctor this yesterday he increased it from 5mg to 10 mg a day, and no offense said that 5mg was a girls dose. When I got home I took two, and within two hour had diarrhea, and the skip in heart had increased, a little something I've had for forty years or more. being a little nervous I did take an aspirin. This morning when I woke my skin had a tingly sensation, like the tissue was waking up, and a little muscle control in the left arm. All seems well though the skin still has the same sensation, but a little less than before. The surprise was when I got up from the side of the bed all the pain is, and I've had some chronic pain in most joints. Is this the way muscle relaxants start out or do I need to run to the er. Most interesting. I had knee replacement surgery earlier this year, and the corisoprodol helped with my therapy exercises, to loosen up muscles that had been too tight for too long with the injured knee. However, if I wanted to take it before my PT sessions, I had to have my daughter drive me, as it definitely makes me sleepy. Now that I've been discharged from PT, I only use it at night, and rarely anymore. I mis-stepped and sort of wrenched my back the other day, so I was glad to have it on hand. The Diazepam I have in the house--but it is not for me--it was prescribed for my epileptic cat to help with her seizures in addition to the phenobarbitol she was originally prescribed. I've never taken it myself, and don't want to. Voted up, interesting, useful, shared and pinned. I'm so sorry for your loss, and for your continued pain and difficulty. I have a friend who is a neurosurgical physician's assistant who just swears by Skelaxin for muscle relaxants. Might want to talk to your MD about trying it. Best wishes. I am a 38 yr old female with heart disease that consist of a pacemake, due to a car wreak I suffer from severe spine injury lower N uper back..due to my heart I am real catious. abot what I take, I have been on Soma(scared of them now) and roboxin, flex.. they dont seem to work, valium(10mg x3 a day) with pain meds and I still am stiff, sore and spasms... I for 1 don't like the fact I have to be on this but it is what it is, I have anxiety N panick disoreder from my wreak as well.. long stoey short I had a drunk driver hit me 65 mph while pregnant which my daughter was born 3 months premature and recently passed at 14 due to complications from her disabilities(half a brain) so u can say I have reasons to be the way I am.. I am very active for I have a 12 N 17 yr old as well.. but I seem to have more bad than good days with my body not my heart..the pacemaker keeps me going great but the body don't seem to keep up some days.. I need a muscle relaxer that will work N not affect my heart.. 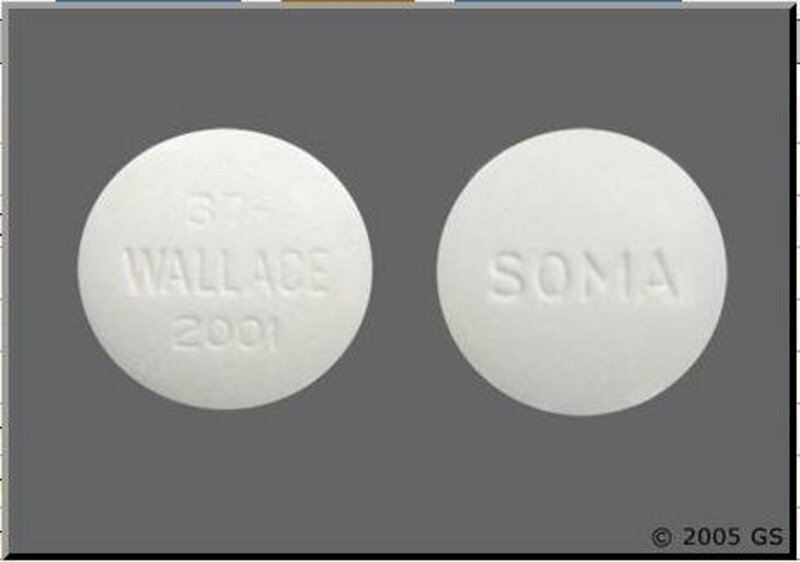 I was taking Soma 4x a day but with ppl having problems and them stacking (soma coma) with out abuse I AM FREAKED over them N stopped using them but still need something so I can move.. i saw this while researching muscle relaxers N was hoping u could give me a idea without my doctor changing them over N over till he finds one that work.. thank u N have a blessed night! It's great to see mention of upper cervical care! I was in two car accidents within 4 months just over a year ago. After trying many, many of the traditional approaches to my disk damage and the development of fibro like symptoms- osteopath, pain dr, medications, an injection (bed reaction to the steriod), iv treatments, traditional chiropractor and more, I have recently started seeing an "upper cervical" chiropracter. While I am not fully healed yet, the improvement is tremendous. I have even had a few hours pain free here and there in the last 3 weeks of treatment. It really is worth checking out. Good advice and explanations of each. Perfect for those who need help alleviating pain! I'm currently taking Meloxican 15mg, once daily, Amitriptyline 25mg,1 @ night, Baclofen 10mg 3x daily, and Tramadol 50 when needed because I have Spinal Stenosis, DDD, Arthritis in Spine, hip, and both knees. I recently developed Bursitis in my right shoulder. None of these meds are helping the pain in my shoulder. My Dr has recommended me to get a steroid injection. I'm not willing to do that. The Bursitis pain wakes me up at night, and I can't go back to sleep. Is there any pain meds you could recommend? I would certainly recommend discussing with the MD the improvements noticed while just on Robaxin in the hospital. They may be willing to try and switch them. Best wishes! My friend has a 19 y/o with severe TBI. He takes baclofen 4 times a day and also dantrium 4 times a day. When he is hospitalized he is given robaxan onl instead of the others. We have noticed that he is more alert and able to follow commands when he is on the robaxan. His Dr has discontinued the dantrium but has not changed the baclifen. Could the baclpfen be limiting his alertness, movement and ability to follow commands while the robaxan allows it? Excellent page for those suffering pain. relief is just not there. Sorry for the delayed reply. Cyclobenzaprine (Flexeril) does not interact with Coumadin. However, due to the drowsiness, some physicians may be concerned about a fall...which could be dangerous while on a blood thinner (think internal bleeding...bad stuff). But possibly agree to just a bedtime dose? I suggest you discuss with your MD. Best wishes. Thanks for the response. The specific medication is Coumadin, Warfarin, and/or Jantoven depending on which pharmacy is supplying the meds that month (I am covered by TRICARE and get meds via mail-order). My INR has been pretty well controlled for many years with periodic issues arising as a result of scheduled surgeries which required adjusting my INR to lower values. My target INR has been 2.0 to 2.7 and I generally maintain that without much problem. I test my INR each week myself and it stays pretty steady. The only other prescription med I take is Pravachol along with some OTC's (Omega-3, Folic Acid, Vitamin D, and a B complex). The reason I take the blood thinners is that I have a Protein S deficiency and had a major DVT in 1987 and it destroyed the venous valves in my left leg. I now wear a stringent compression stocking on my left leg and have to keep the INR relatively high to prevent a recurrence of the clots. If I have to reduce the Coumadin doses for surgery, etc., I usually revert to Lovenox injections for the duration. Thanks again! Glad you found my article. You say you have been on "blood thinners." Could you specific which one(s) you are on? There are some blood thinners that are generally considered safe to be used in combination with, for example, warfarin. But there may also be other conditions and/or medications which your MD is concerned about. I utilized to get on top of life yet of late I've truly developed a level of resistance. You ask a good question. Benadryl (diphenhydramine) is routinely used to help patients sleep due to its sedative properties, even though it is technically an antihistamine. 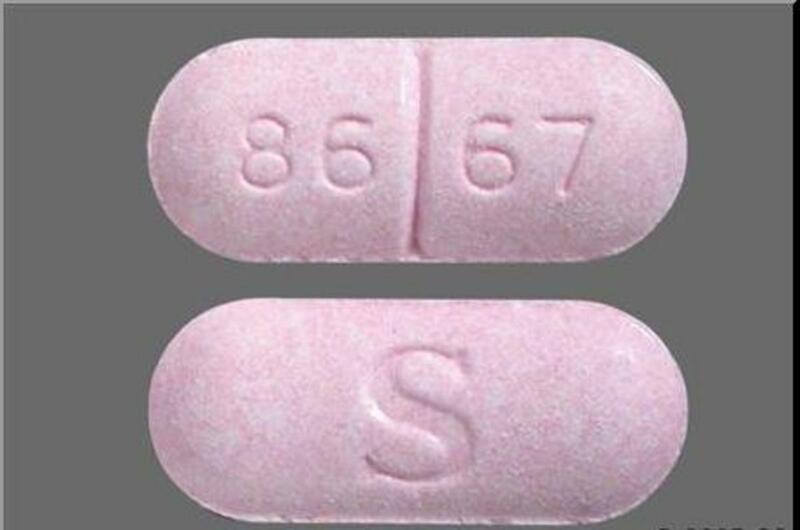 Norflex (orphenadrine) is a muscle relaxant. Both can cause drowsiness. So the concern when taking both medications is the potential for excessive drowsiness. In such cases it would be prudent to begin with the lowest possible dose (25mg - 1 tablet) of Benadryl. But check with your personal physician and/or pharmacist to make sure there are no other concerns in your medication record. Best wishes. Thanks for putting this up on Twitter! Muscle relaxants are an area of pharmacy that are glanced at during pharmacy education, but they are of great utility to limit damage from muscular and skeletal trauma and increase patient comfort. take norflex long term. I take one at bedtime and one in the morning with no drowsiness. Sorry for the pain. You didn't mention the actual dose (how much, how often) on the tramadol or others. Maybe a more sedating muscle relaxer, like tizanadine (Zanaflex) might be considered, for bedtime. Keep a pain journal like the one here (see last couple pages): http://www.partnersagainstpain.com/printouts/Pain%... These are often helpful in showing the doctor when and how bad your pain is. Make copies of your records to give the office before your appointments. Sometimes switching NSAIDs helps. You are on meloxicam. Maybe talk to your doctor about Naproxen. Just ideas. Let us know how things go. 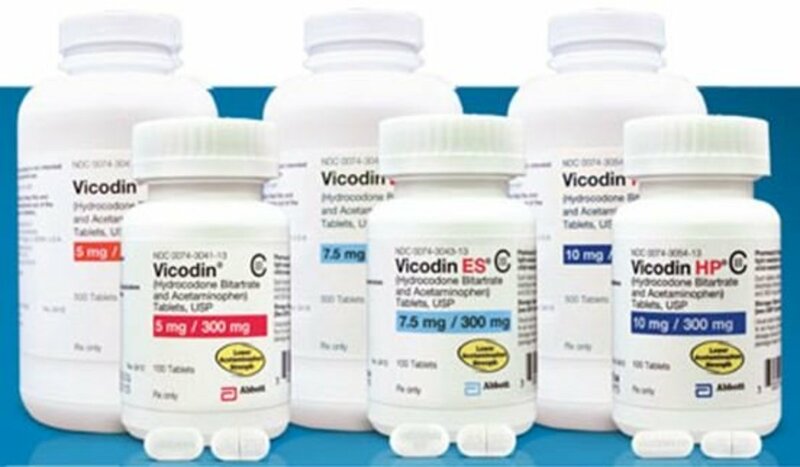 Hello Pharmacists, I've been taking Tramadol, Amitripyline 10mg, Baclofen 10mg, and Meloxicam 15mg for 6mos. This combination has really worked well for me until presently. I have spinal stenosis, DDD. The pain has returned, I'm unable to sleep at night, and I'm very irrigated during the day. My Dr. refuses to change my meds, telling me to give them more time yo work. Is there another pain medication you could suggest, the Tramadol is not working. Yes, I'm aware of the PT/INR tests. I have them done weekly. Because of the rare blood disorder I have, my body is prone to making clots. They try to keep my PT between 3.5 - 4. Hughes Syndrome, antiphospholipid syndrome (sp?) Anti thrombin III. I've had 7 occurrences of bilateral pulmonary embolisms. I've also been diagnosed with disorders of prothrombin, protein C and protein S. I have another question. I know that I'm not supposed to eat greens..IE..collards, turnips, spinach and the like because of the vitamin K they contain. Are there other foods that I need to be aware of? Sorry for the delay, I've been away this week. As you are aware, Coumadin is a medication that requires careful monitoring and may be interfered with by a variety of other drugs, foods or conditions. Things that increase risk of bleeding or influence the normal bleeding/clotting mechanism will affect Coumadin and ultimately your INR. Likewise, drugs that either speed up or slow down the metabolism of Coumadin will influence the way it works in your body. That said, Coumadin is fine with most muscle relaxers used for spasm or spasticity (e.g. Flexeril, Skelaxin). Products with aspirin (Soma Compound with Aspirin for example) should be avoided. Always let your MD know you are taking Coumadin before receiving a new prescription, and be sure your pharmacy knows also. I was wondering if taking a muscle relaxer would interfere with my coumadin regimen? I have to be careful taking medicines because of that fact. Levator ani syndrome is both painful (as you have discovered) and challenging to treat. It would be reasonable to have expected some results from the muscle relaxers, and maybe it is time to speak to the physician about alternatives - possibly Flexeril. In severe cases, even Botox injection has been effective. Steroids have also been used. The most important thing is to have open communication with the doctor about his/her plan. What is the next step - in their view - and when? I have been diagnosed with spasm in my levator ani muscles it is miserable. 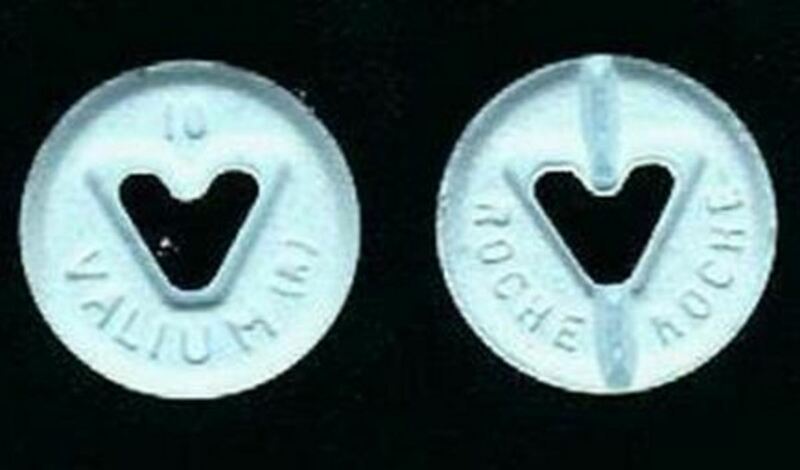 The urologist prescribed valium robaxin and nuerontin along with daily use or a rotex machine. He thinks the machine will help strengthen other muscles and along with the medications break the muscle spasms. This is tortious and I'm desperate for a solution. It doesn't seem like the robaxin helps its been the days. Should the pills help instantly or does it take time to build up in my system. Desperate is an understatement. Palsy type spasms are typically treated with muscle relaxers like baclofen, dantrolene or tizanadine. Great content for such an important topic that is involved in lives of many people, really useful hub, thumbs up! I came upon this site by accident, and must say it is very informative. I have been off and on anti-inflammatories, muscle relaxants, pain meds, etc. since 1988 when I had herniation's of C5-C6, C6-C7, and was diagnosed with degenerative disc disease. 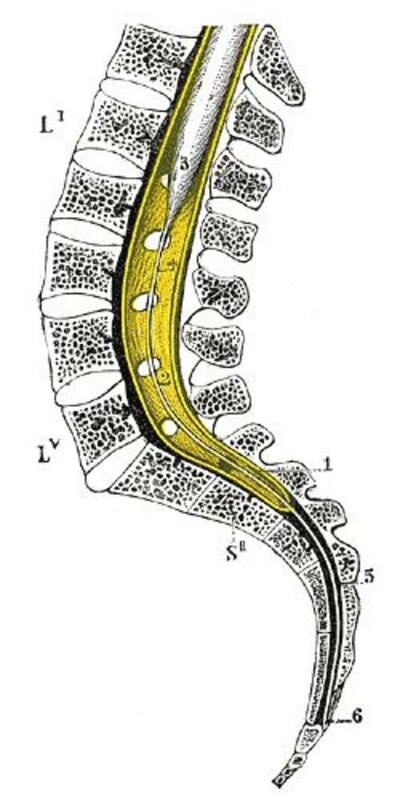 In 1989, I broke L1 and herniated L5-S1, which unfortunately is the one causing me the most problems as I age (I'm now 55). My last MRI in Feb. showed spinal stenosis from T12-S1. So, needless to say, I have been on a lot of meds with varying results. My main problem with anti-inflammatory meds is that they give me headaches. I have been on many, and most don't help my back. One drug I have not seen mentioned is Meclofenamate. It is used both for it's anti-inflammatory properties and for pain. I am always doing research, and found this drug on my own. I can't tell you what a difference it has made my life. Before that, I was on Arthrotec, which I also have not seen mentioned. This drug was a wonder drug to me, but unfortunately, it caused my blood pressure to rise. I was devastated as I was finally almost pain free. Both of these drugs would be worth considering. I am also on Cymbalta, which I didn't think was really helping until I started to wean off of it. I found out my back pain increased. Just wanted to pass along the information about Meclofenamate and Arthrotec. May be of use to someone out there dealing with these issues. Krocmom, the medications you mention are often used together and rarely cause any trouble. With amitriptyline and tramadol...just be sure not to switch off of baclofen for a drug called Flexeril. That combination would create some concern for serotonin syndrome. But otherwise, the plan looks good. Hello Pharmacist, I have just been diagnosed with DDD, and Lumbar spinal stenosis. My Orthopedic Dr has ordered an Epidural injection. I'm not ready to try that yet. I'm currently taking Amitripline 10mg at bedtime, Baclofen 5mg 3x daily, and Meloxican 7.5mg daily. I developed a rash on both forearms, so my Dr took me off the Mobic, and put me on Naproxen 500mg twice a day. I also take Tramadol 50mg when the pain gets took bad. I'm go to Pt 3x a wk, which is really helping. My question is are these meds safe to be taking together? Yes, we've checked a lot of things and can't get a definitive diagnosis for the muscle spasms/pain. GERD has been ruled out. I have the gene for Celiac but the 4-month food trial didn't help (but I've been told they really need a biopsy to be certain of that diagnosis). Now we're looking into immune-mediated reasons such as chronic Epstein-Barr virus or autoimmune disease/lupus (I've had a positive ANA titer for years). It seems like the doctors are working backwards by using drugs and hoping the one that works points us in the direction of the reason for the pain. Sorry for the delayed reply, was on vacation last week. I am not aware of any one muscle relaxant that has been shown to work better for abdominal spasms. Skelaxin may be a less sedating option. But abdominal spasms can be due to so many different things. Have they considered GERD? Lactose intollerance? Celiac? Best wishes in your research. I read all your comments and have a question not yet asked. Does one muscle relaxant perform better for targeting abdominal muscles (diaphragm and abdominal wall)? I've used Flexeril as a aid for controlling my fibromyalgia for years by taking 2.5-5mg whenever I get knots all over. It causes me to sleep heavily for two days but since I use Flexeril so infrequently it's not a big deal. Six months ago I began having pain in my abdomen, under the right side of the diaphragm. The only thing the doctors could find was that I had a blood vessel in the wrong place wrapped around my gallbladder. I had my gallbladder removed 5 months ago. I still have the same pain and in addition now I have pain from the incisions. Sometimes I get muscle spasms so painful that it feels like I've had the wind knocked out of me and I struggle to breathe. Any time I eat or become bloated, I have intense pain from the muscles stretching. So far my doctor has had me try NSAIDs, narcotics, and gabapentin. He said I could try a muscle relaxant next but since I want to give it a decent length of a trial I'd prefer to start with one less likely to put me to sleep all day.... and if it's not too much to ask, if any are known to be better for abdominal muscle spasms/pain? I'm going to stay away from Flexeril because I sleep 16 hours straight when I take it. Thanks! It is currently not available in the U.S. The exact mechanism by which it works does not appear to be well known. It does seem to have some seizure-producing properties. I'm afraid I don't have much else to go on. Several studies have been published online which are available to read. I understand your frustration. Believe me I do. I hope you find the information you are looking for. This was the worst piece of advice given...I read this entire feed to get this....all the above i knew..not one person gave their personal opinion on the med and I was asking you about it...ahhh yes they all make you drowsy. as you can see this is not my first rodeo..Thank you I will go speak to a certified Pharmacist with qualifications. You will see basic information about Lorzone above, under the CHLORZOXAZONE listing. It has been around for 20+ years. It is unique, and different from Soma, so it is a reasonable thing to try. It may cause drowsiness. If you ask around, you will hear both positive and negative reports, but you should follow your prescribers directions and give it a shot. Best wishes. In general, in the U.S., it is best to start with a general practitioner. Very important is the practice of keeping a "pain" journal. Keep it simple. Use it to "rate" your pain and discomfort on a 1-10 scale. Make a few notes. Bring this to your MD and talk about it. Then work together on a plan and medication (if needed) to address the issue. Best wishes. I have what I believe to be some variation of fibromyalgia, progressive muscle pain/tightness/spasms that started in my upper back and worked its way throughout my body. Now I have pain just about everywhere, but only recently the pain has been keeping me from sleeping at night and giving me headaches everyday all day. Sometimes later in the evening I get waves of fairly intense pain throughout my torso that feel something akin to deep muscle spasms. I have tried methocarbamol and cyclobenzaprine to little affect, and NSAIDS have no effect at all. It seems the only thing that has worked has been opiate painkillers, but I think muscle relaxers may target the problem better if I can find one that would be effective. Should I be seeing a general physician, or is there a doctor in some specialty that would better serve me? Any advice on meds I should try and how can I communicate this effectively to my doctor without sounding as though I am a drug seeker? Thanks in advance for any help. Ideally we would like to use something that would ease the spasm AND help you sleep. Most people find these meds very sedating. Ask you MD about trying an alternative to Flexeril. If not...although we don't like to do this...you can consider adding a sleeping agent on top of these. Ask your MD about Benadryl first, as it is cheap and available without an Rx. Best wishes. hello I have taken flexeril and topiramate.. then propranolol.. all of which have just kept me up at night .. i only took them a few night but from not having sleep on the first nights on the different meds ... i am stuck to find one that will help my neck and let me sleep???? I have not heard that Zanaflex is being discontinued, but it may be true. Here's the thing. Many times the inactive ingredients in the generic are identical to the brand also. Also, sometimes the "generic" drug is actually the brand drug being sold to a generic manufacturer (yes, that is the truth). So....although you have had some bad experiences with 1 or more generics, don't give up on them altogether. I would try the generic, buy a small amount, and meaure the results. 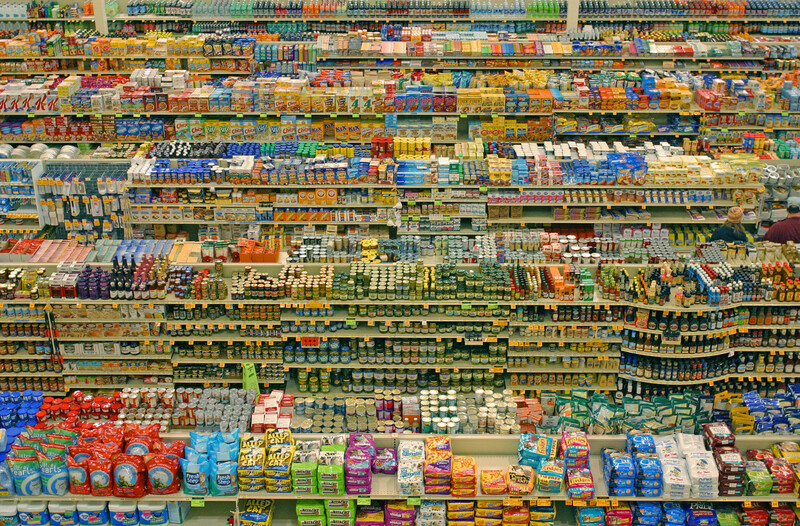 If you are not satisfied, ask the pharmacy if they can order a different generic (made by a different company). Best wishes. Hi Jason, I was just told by my pharmacy that Zanaflex the brand name has been discontinued, but the generic is available. Is this true? I am one of those few people that generic drugs do not work for me, so I am very hesitant to try the generic for Zanaflex. It would be a waste of my money if it too did not work. I know that the active ingredient is the same , but the change in inactive ingredients and how the generics are formulated somehow make them ineffective with me. I only need a muscle relaxer infrequently, but need it on hand. I have degenerative disc disease all along my spine and several protruding discs that at times cause acute pain that will cause nausea and me to momentarily black out. In these cases I would take 1/2 or 1 tablet at night along with ibuprofen to get relief. If it has been discontinued in tablet form is it still available in capsule? If the Brand name is not available at all; what would be the closest available in brand name? The side effects associated with Zanaflex are rare, but serious, and should always be weighed against the potential benefits. While you contiue to recover, it is possible that something that didn't work before might be more effective now. With your doctor's permission, I would give Flexeril a try again. Baclofen is another option. Sometimes combining the muscle relaxer with a good NSAID like Naproxen or Ibuprofen helps it work better. Best wishes! I have had a spinal fusion 2 months ago and have been having muscle spasms...they gave me soma which worked tremendously but I developed a skin reaction and they said I cudn't take it...I've tried flexeril, skelaxin and valium...nothing works like the soma did...is there a medication that is common to soma that I could try?? I've been given zanaflex but what I read on it, I'm scared to take it!! At such a low dose of Flexeril and medium dose of Paxil the interaction is unlikely. This does not make it impossible,just less likely. I would mention it to your doctor, monitor for symptoms, and if you are going to need a muscle relaxer for long-term use, consider other options. Best wishes! It's nice to have this site at your fingertips! Is it ok to take 20mg of Paxil and 5mg of Flexeril at night? Ive been on this low dose of Paxil for 2 years and have used Flexeril to help relieve the tightness in my foot from surgery and soreness. I never even knew what 'serotonin syndrome ' was...should I be worried about that now. It was never even mentioned...thanks so much . I always recommend you get a physical exam by a physician first, which you would need before you are prescribed a muscle relaxer anyway. The pain you describe could be a symptom of many things, so it is best to get a medical diagnosis first. Best wishes. Hello. I have been having back spasms when I twist and lift things...sometimes even when I take deep breaths. I have a two-year-old that I lift on a regular basis, so that's probably the culprit. Is Flexeril something that could help me? It's not a sore muscle pain, it's a sharp pain that sometimes extends into my arms...I guess because everything is connected. She's tried OTC products. But after taking things like Darvocet, Tramadol, and Hydrocodone, the OTC NSAID's don't have any affect whatsoever. She does use a heating pad and it helps a little. Doesn't use ice; that makes it worse. She cuts the hydrocodone in half to try to keep her dosage down. That seems to work most of the time. It's really the confusion it causes her that's the main issue. Is there a muscle relaxer that might work without affecting her memory? A muscle relaxaer might help, but due to the drowsiness, some doctors will be reluctant to prescribe them, particularly if she lives alone. It would be good if she could see another physcian, maybe even a specialist. Otherwise, she may be able to try an OTC NSAID (like Aleve or Ibuprofen). You could send her out a good ice pack that wraps around with velco, and a heating pad (so she can alternate heat/ice). She shouldn't need to suffer like that, and I hope you can help get her the assistance she needs. Best wishes. My mother is 86 and has severe back pain. It started years ago and has increasingly gotten worse. The pain is about mid-back, about 3" to the left of her spine. On a bad day, you can feel and see the knot. Currently she takes hydrocodone - which she hates. It's really messed with her memory. She was on Darvocet (which was taken off the market), then tramadol, and got off it presumably because they weren't going to continue making it. However, I've heard people talk like it's still on the market. A little of her history - she had a knee replacement maybe 10 years ago. No problems with the knee. A year ago she had a major heart attack but refused any treatment other than what the ER did for her. She's not on any medication for the heart. She does take eye drops for glaucoma; and is on synthroid for her thyroid. She does have a pacemaker that she's had for many years. Her MD believes her back pain is associated with osteoporosis, and is only giving her pain medications. I believe her spine may be the root of the problem, but it's the muscle that's causing her the agony. At her age all I want to do is give her some relief. I live in another state from her, and she lives in a small rural town. I just hate to hear that she cries some every day over this. Other than the back pain, she's doing great. Any thoughts if any of the muscle relaxers might be worth asking her doc to try? Not a lot of studies on this. Dantrolene is a definite "no." The American Academy of Pediatrics classifies Baclofen as compatible with breastfeeding. Is there a muscle relaxer that is safe to take if you are breast feeding? Typically an NSAID would be the first thing they try. Chronic neck pain should be evaluated by an MD for sure. It is possible a muscle relaxer will help. URGENT: I have just been prescribed Skelaxin for neck pain. However, I see it causes drowsiness. I have been told that there are muscle relaxers that do *not* cause drowsiness. That is what I desperately need, as I *must* work for the next several days. What should I ask my doctor for instead of Skelaxin? Thank you! Well, hard to say from just that information. Can you provide more details? I am taking cyclobenzaprine and also mirtazapine as well as 20mg of melatonin as I have imsomnia. I was wondering if this is why I feel awful? The first thing you really need is to obtain a clear diagnosis for your hip/knee problem. Several things could be going on. Once properly diagnosed, then it may be appropriate to talk about drug therapy. However, physical therapy may also be appropriate. In the mean time, talk to your doctor or pharmacist about using an NSAID (like ibuprofen or naproxen). Best wishes. I have anxiety problems sometimes despite taking zoloft, is there a muscle relaxer that would give me pain relief in my hips and knees (painful lockup of joints while sleeping). I need a suggestion that won't give me more panic attacks. Flexeril does nothing for me. i want everyone in this article to look up prolotherapy please u want you pain gone. thank you so much for providing this information. I have been having extreme back pain for the past two months. MRI's revealed three herniated discs in my neck. The pain is in my upper back, between, above, and below my shoulder blades, in addition to my neck. My muscles felt like a tightly clenched fist in that area. A few weeks ago (before having the MRI's done) I went to my doctor and she prescribed me dexilant (for my ulcer), generic mobic and orphenadrine er (100mg). I usually take these medications at 10am and the orphenadrine again at 6pm. I subsequently had to add tramadol to the list, but the symptoms described below were present before beginning that. I can not remember exactly when the onset began, but I have been experiencing dizziness, extreme vertigo, confusion, disassociation and vision issues (not so much blurriness but best described as distorted depth perception). These symptoms will mix and match, come on at varying times of the day, and linger for long periods of time when I have them. I am not sure whether these symptoms are from the pressure of the herniated discs on my spinal cord or from the orphenadrine. I originally did not believe them to be attributed to the orphenadrine because they came on at times with no correlation to the pills. Some days I wake up with extreme vertigo as soon as I open my eyes, sometimes the symptoms are bad an hour after I take the medication, and sometimes the symptoms are bad almost 8 hrs after taking the last pill. Again, when the symptoms are most intense intense varies. My question is whether the orphenadrine could cause these symptoms? Would the medicine linger in my body to cause me to wake up into such symptoms? Today I attempted to not take the orphendrine to see if the symptoms would dissipate over the next few days but by one pm I was in such pain and discomfort without it, I had to take the pill. If the orphenadrine is the likely culprit, what would be a differently acting drug to try? Which drugs are in the same family as orphenadrine that I should try and stay away from? I strongly prefer non-narcotic medicines. Thank you greatly for any time and help! You are welcome. It is my pleasure. Glad to be of help. Thank you so much for your help, sometimes we patients have questions that we want to ask the doctor but, are afraid of the judgement or shame or just down right scared. I appreciate you being so honest on this website.